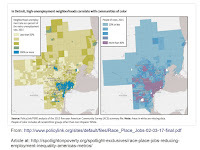 This image is from a PolicyLink report that I read today, that results from an analysis of 150 metro areas of the US. 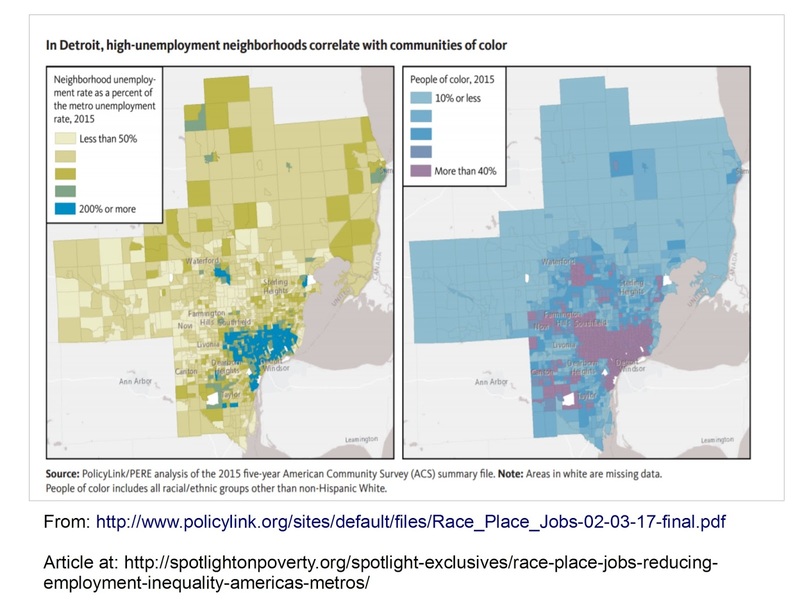 The study shows a connection between where you live, race, and unemployment. Chicago is not listed among the top 25 cities with the greatest unemployment. See the PDF. Stroll Through History of GIS and Learn More About GIS Uses. 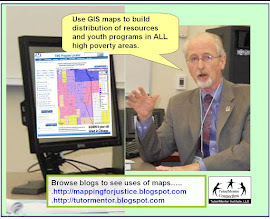 This blog was launched in 2008 to share maps created by the Tutor/Mentor Connection, using ESRI GIS, as well as an on-line interactive map-directory built on a Google map platform. 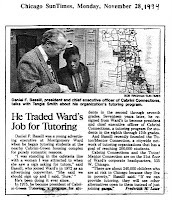 However, I've been trying to use GIS maps to point people to places where kids need extra help, and where volunteer-based, non-school tutoring, mentoring and learning programs are needed, since 1993. Today I found a presentation that shows the history of GIS and some of it's present day applications. Click here to view. 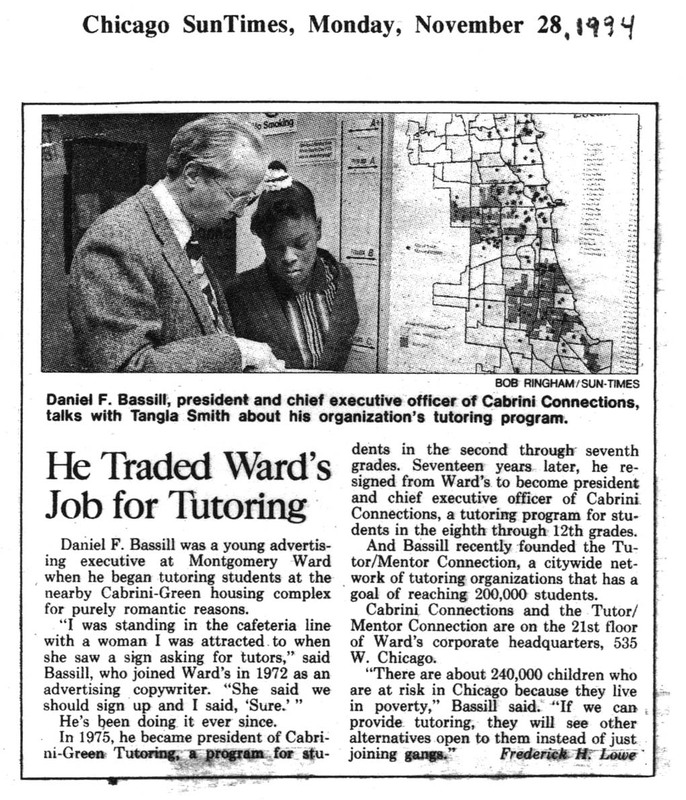 While I've seen the potential of GIS since I was first being introduced to it in 1993 by a volunteer from IBM, I've never had the talent and resources to maximize its potential. 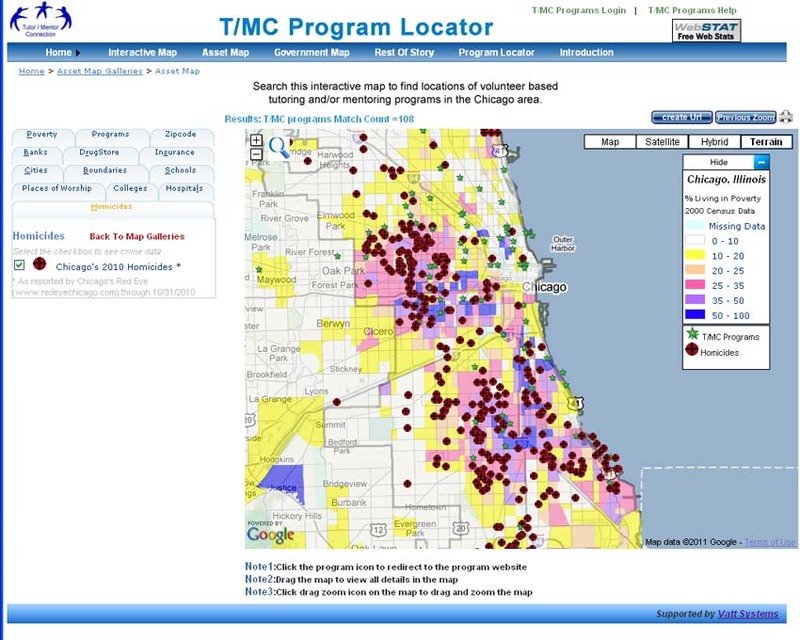 Since 2011, I've operated as Tutor/Mentor Institute, LLC and I've not been able to update my map making, but have continued to show platforms created by others, which can be used to make map stories focusing attention on poverty in Chicago and other cities. These are three of more than 60 presentations on Scribd.com. Most include maps. If you have a GIS capacity and want to take ownership of the work I've started, to carry it forward into future years, I'd like to connect with you. Introduce yourself with a comment, or via Twitter or Facebook.